Despite a series of unanticipated set-backs, the Shaping a Green Bergen Coalition was able to plant and harvest the first of its four student-constructed, raised garden beds! 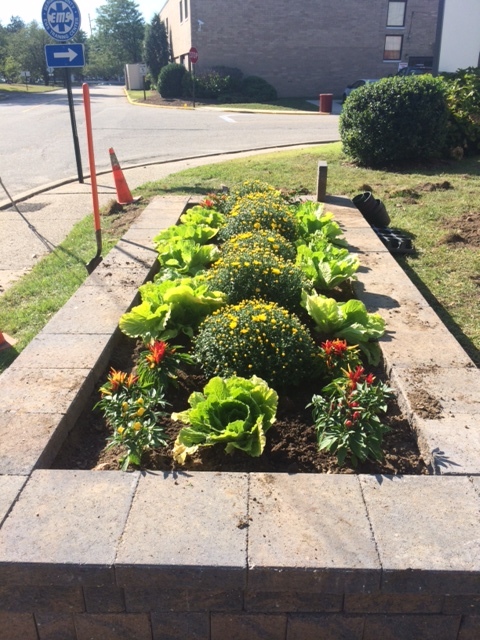 Lettuce, mums and a variety of peppers – hot, red peppers included – were planted and have made their way into the lunch bowls of students and staff alike. The lettuce has also proven to be a favorite of our local deer population, who we hope will be foiled by the installation of a fence before the next growing season! Garden growth is supported by composters and rain barrels provided by the Bergen County Utility Authority, one of our valued partners. 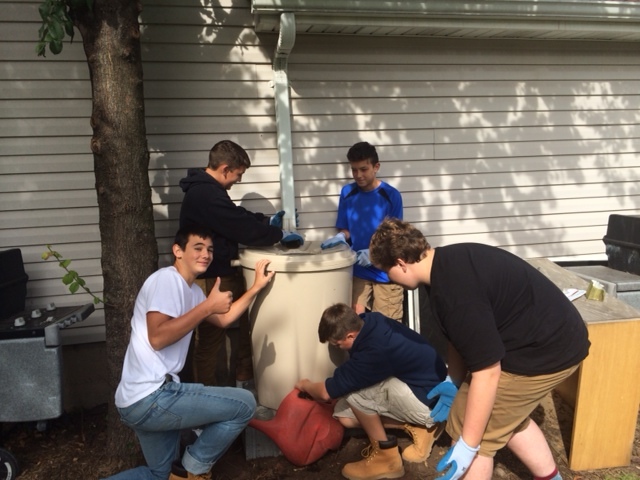 Students and staff installed both composters and rain barrels and monitor their use as a key component of sustainable gardening. Rain water proved sufficient for our current garden, but ongoing expansion calls for the design of alternative methods to supply water during long dry spells. In the coming year, the Shaping a Green Bergen Coalition will expand the garden by an additional three raised beds and finish construction and planting of its native species trailer-garden. Future plans include the development of alternative, environmentally friendly water sources, the installation of fencing and walkways between beds, and the creation of a wildflower meadow and a walking trail around the meadow — all with the intent of building new opportunities for the the Bergen Tech and Special Service School community to walk more and continue to develop healthy eating habits. The mission of the new Shaping a Green Bergen Coalition is to design, plant, and maintain a teaching/community garden that showcases native species, supports nutrition education, and brings together diverse populations in a hands-on activity that supports fitness and healthy eating habits. To accomplish this mission, Bergen County Technical Schools (BCTS) reached out to organizations that demonstrated the dedication and expertise needed to support the successful design and creation of a garden and gardening community on the BCTS Paramus Campus. Partners were identified through referral and word-of-mouth and committed to participating because they believe in the intent of the project and its long-term goals. Bergen County Technical High School (BCTS) – a county-wide vocational school district with three campuses that enrolls high school students from over 70 Bergen County communities. Paramus-based programs include Culinary and Landscape Design, Sustainable Sciences, and an Environmental Club. Bergen County Special Services (BCSS) – one of eight regional special services school districts, enrolls students with disabilities from Bergen and adjacent counties. Paramus-based programs include the Bleshman School (children with multiple disabilities), Washington School (children with Autism Spectrum Disorder), and the following high school age programs: the Career Crossroads training program (Hospitality/Food Service), Springboard Life Skills program and the Work Ready summer internship program. Demarest Garden Club, which was founded in 1930 and currently has 30 active members, promotes amateur gardening, the exchange of plants/seeds, and conducts programs on gardening methods including environmental and conservation concerns. 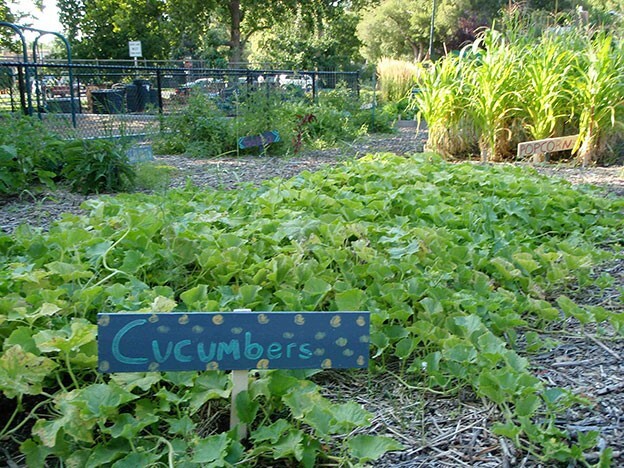 The Club assists in the development of a Youth Garden Club, provides advice, educational programming and helps to coordinate volunteers to water/harvest crops in the summer. Rutgers NJAES Cooperative Extension Services – maintains offices in all 21 New Jersey counties and partners with the U.S. Department of Agriculture. The Bergen County office, a partner in another NJ Healthy Communities grant, provides access to 4-H Club volunteers, Rutgers University trained volunteer Master Gardeners and Horticulture Therapists, educational programming and assistance identifying/applying for other funding. SNAP-Ed Program of Bergen County – provides nutrition education to limited resource adults, seniors, SNAP (Food Stamp) participants and school systems which enroll 50% or more children receiving free or reduced school lunches. SNAP-Ed provides nutrition education to support garden activities, outreaches to students in low income schools and to SNAP recipients to promote the involvement in the garden. Bergen County Utilities Authority (BCUA) – is responsible for wastewater treatment for 47 and solid waste management services for all 70 Bergen County municipalities. BCUA guides the integration of recycling methods into garden design/implementation, donates 4 composting units and 4 rain barrells, conducts community outreach, and assists in identifying funding sources. Garden Club of New Jersey (GCNJ) – is a federation of individual local garden clubs throughout the state, with over 5,000 members, age 6-adult. The GCNJ supports the District’s application for membership as a Youth Garden Club, provides outreach/promotion of project/garden the through a club link on the GCNJ website, provides teacher training, and technical assistance in urban garden (square foot) gardening design. Center for Food Action – provides emergency food packages, rental and utility assistance, counseling, advocacy and other services to those living in poverty in northern New Jersey. CFA operates two gardens established in collaboration with the City of Englewood, Dwight Englewood School and commits to helping design and develop garden space, assisting in coordinating Bergen County garden groups and with the collection and distribution of fresh produce, herbs and native edibles to local families in need. Bergen County Department of Health Services -The Mental Health Services Division of the BCDOH works with agencies that serve people of all ages who experience chronic health disease, including mental illness or substance use disorder. The Division promotes the project’s gardening and nutrition education activities and encourages the involvement of members of the mental health and disability community. TOGETHER, members of the Shaping a Green Bergen Coalition welcome spring and begin to see our plans take shape. This spring will see the construction and installation of one raised bed, with the remaining two to be constructed in the fall, and the preparation of the trailer-bed for the planting of a moveable, native species garden. 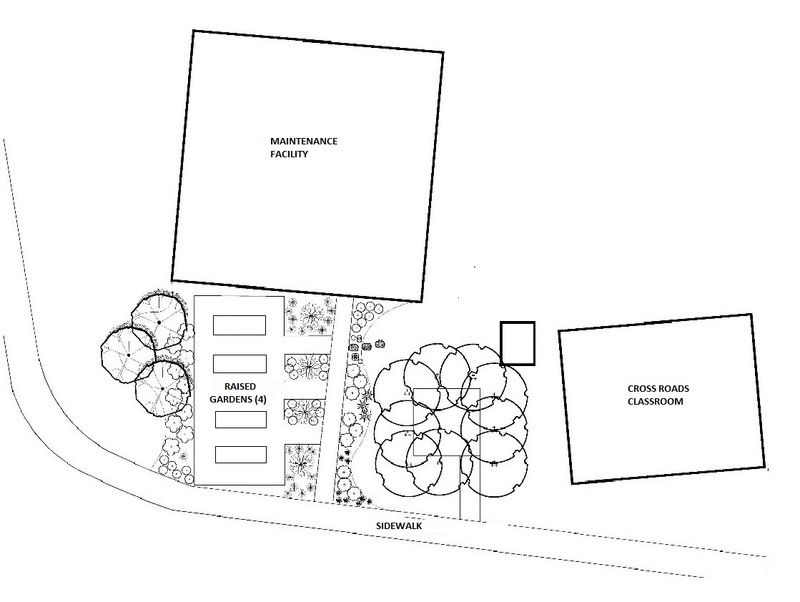 The raised beds will be located near the Bergen Special Services Career Crossroads program building, providing fresh herbs and vegetables for the program’s culinary students. An area has been staked out an area on the campus which will be allowed to revert to a meadow and will be planted with milkweed and wild flowers to attract butterflies, birds, and bees. Partners hope to be able to install seating in these areas so everyone from campus and community can enjoy the gardens. There’s a lot to accomplish before the end of the school year and we have the partnership to do it! The Shaping a Green Bergen Coalition Garden Design Begins to Come to Life! The Shaping a Green Bergen Coalition partnership met on March 6, 2015 and, in anticipation of spring, began to plan in earnest. Thank you to all who attended—Barbara DiNovi, Virginia Bargisen, Beverley Kazickas, Mark Vangieri, Angela Bonnano-Lynch, Abbie Kesely, Carmen, Linda Morehouse, Joseph McElwain, Sue Shafer, Patti Wojtowicz, Angela Cupo, Kathy Wertalik, Thomas Jodice, Amy Heid, Andee Dixon, Tim Regan, Maria Dvorozniak, Diane Scarangella; the guidance and suggestions we received from our partners have helped us in creating our plan of action. Installing movable pots in the Bergen County Technical High School/Paramus (BCTHS/Paramus, http://bcts.bergen.org/index.php/programs38/bergen-tech-hs-paramus) courtyard for growing edible flowers and vegetables for use by students in the Culinary program. Planting salt-tolerant plants in the grassy divider at the main entrance to the Bergen County Special Services entrance. Establishing a wildflower meadow on or adjacent to the 90,000 square-foot potter’s field located near BCTHS/Paramus. It was decided that the first step would be to design the garden spaces. BCTHS/Paramus Landscape Design Instructor Andee Dixon has come up with a fantastic sketch of the garden area to be located at Career Crossroads that will include four raised beds for vegetables. Mr. Dixon is also working with the construction and electrical shop teachers to design an enclosure for the mobile garden. Once the Coalition knows exactly what materials are required for the garden beds, planters, wildflower meadow, and traveling garden, we will create a wish list to submit to local businesses, requesting donations. We thank Bergen County Utilities Authority for their donation of composters and rain barrels. These will be distributed around the campus allowing students to learn about and implement conservation and recycling techniques such as composting food scraps and using collected rainwater for the gardens. One of the Shaping a Green Bergen Coalition goals in building these garden spaces is to enhance the sense of community on our campus by creating opportunities for interaction between students from BCSS and BCTHS programs, and in the future between the campus and the larger Bergen County community. This project presents an opportunity for us to all work together. The students can share the responsibilities of caring for the garden, and the produce can be used at the culinary programs at the BCTHS/Paramus and BCSS Career Crossroads and eventually distributed to local food pantries. The design of the raised beds will facilitate access for students with disabilities. These activities will enable our students to gain a better understanding of where their food comes from and how it’s part of a larger ecosystem. Looking ahead to the future, the Coalition hopes to arrange for interns from Rutgers Cooperative Extension to help us maintain the gardens over the summer and to mentor BCSS Work Ready/Work Now students who will be assigned to work in the garden during the summer. Both partner schools will also reach out to parents and teachers interested in becoming dedicated volunteers as part of a 4H club on the BCTHS/Paramus Campus. As the snow melts, we prepare to make our plans a reality and eagerly anticipate watching the flowers and produce grow! Over 75% of BCTS-Paramus students (100% of full time population) experience some form of learning disability, 39% are economically disadvantaged, 49% represent minority groups and 100% travel up to 15 miles per day from over 70 Bergen County municipalities to attend the school on a full (295) or part-time basis (262). These students shared their campus with 268 BCSS K-12th grade students (41% economically disadvantaged; 57% minority) who attend the BCSS Bleshman, Montesano and Washington special education programs.. Over 37% of these students experience multiple disabilities, 43% are students with autism spectrum disorder, and 20% are high school students with disabilities in need of life skills. Shaping Bergen addresses the fitness and wellness needs of both student populations and of the communities in which they live. It does so through the creation of a program of physical activities and community awareness activities that brings together students from BCTS and BCSS schools. These students benefit from the joint use of a soon-to-be installed, ADA compliant, eight station fitness circuit and the revision of PE curriculum to include use of this new fitness equipment and the delivery of community awareness activities. This past April, for example, 32 BCTS students partnered with BCSS students in a “Roll-A-Thon” fitness event that raised over $1800 to send needy students to camp. To “kick-off” the start of the new school year, Shaping Bergen plans to “unveil” the new fitness circuit with a ribbon-cutting ceremony. The fitness/wellness campaign for FY15, fun fitness, healthy eating and community gardening, will be promoted at this jointly-conducted event. Other activities that bring together BCTS and BCSS students will include a National Circus that will teach students how to juggle, the creation/dissemination of a “My Favorite Healthy Food” recipe book, a Jump-a-Thon, and the 8th Annual Roll-A-Thon/Presidential Fitness Challenge. In 2014-15 the BCTS-BCSS partnership also hopes to plant a community vegetable/herb garden within a short walk from new outdoor fitness equipment. 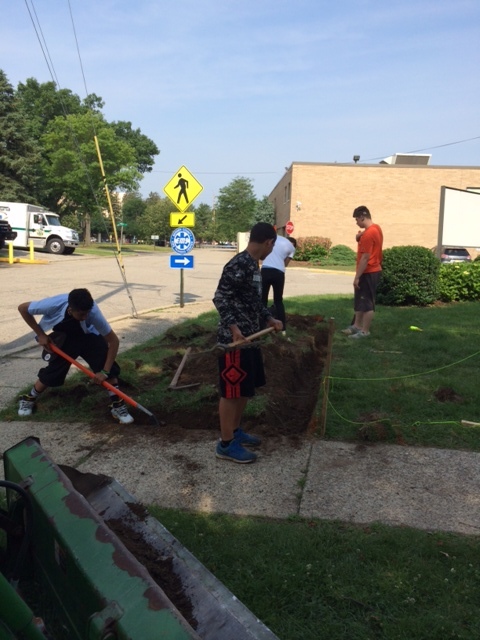 The garden will be operated by BCTS and BCSS students as a community service activity. Gardening activities will also be integrated into health, PE and science instruction to promote fitness, healthy eating, sustainability, and environmental awareness. Produce from the garden will be used by BCTS Culinary Arts students and by the BCTS and BCSS cafeteria to prepare student meals. The maintenance of the garden throughout the year will be supported through the establishment of partnerships with gardening, senior citizen and other local community groups. Shaping Bergen is spending the summer months preparing for the return of students in September. Installation of equipment for the new, fully accessible, outdoor fitness circuit should begin shortly on the Bergen Tech High School (BCTS) and the Bergen County Special Services (BCSS) Paramus Campus. The location of the fitness circuit, halfway between the BCTS and BCSS school buildings, encourages daily use by students in both school districts. The new, eight-station fitness circuit includes a ski walker, chest press/Lat pull, dual exercise bars, a leg press, pommel horse, self-weighted rower, a two-sided rotator, and a tai chi spinner. Each station was selected because it can be used by BCTS Paramus high school students, by physically challenged students from the BCSS Bleshman School and by students with varying degrees of Autism who attend the BCSS Montesano School. When school starts, redesigned physical education curriculum will prepare BCTS Paramus students, many of whom are challenged by some form of learning disability, to use the equipment correctly and effectively. 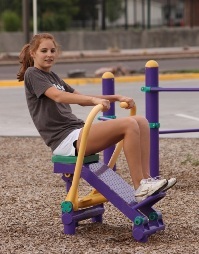 New PE curriculum also teaches students how to use this equipment to help students younger than themselves from the BCSS Bleshman and Montesano schools to also use the new stations. A ribbon cutting ceremony, hosted by students from both campuses will announce the new fitness circuit, to the school and general community. This event also promotes the start-up of the 2015 BCTS/BCSS student healthy choices/vending machine community awareness project, which is anticipated to begin in October.